Simple Needs GA’s Uniforms for Excellence program helps schoolchildren in Cobb County “dress for success” by providing them with required school uniforms their parents struggle to afford. Donors provide gently used khakis, skirts and polo shirts that meet the requirements of individual schools. Alternately, they fund the purchase of brand-new uniforms. We opened and continue to supply a school uniform closet at the Powder Springs United Methodist Church, where school social workers can get what they need. We collect uniforms year-round and either add to that closet or we distribute to the Marietta City and Cobb County school uniform closets. If you’re interested in helping us with this, keep an eye on clearance racks at discount-oriented retailers like Walmart. 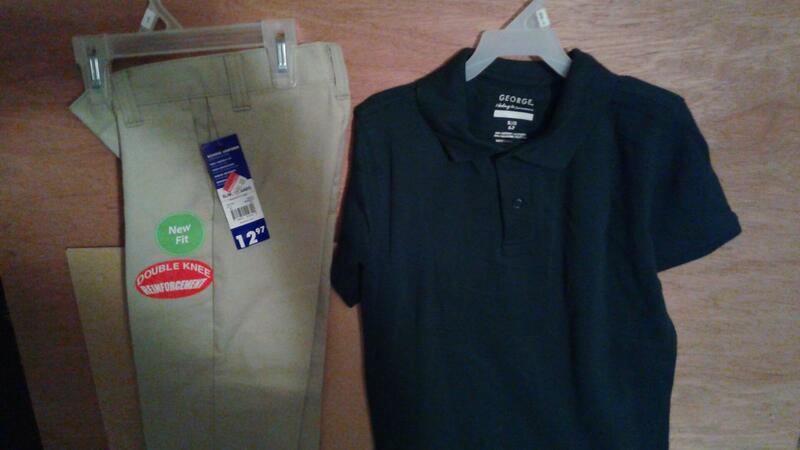 On one trip, we found 10 pairs of khakis for just $7 or $9 each, along with 30 polo’s at just $3 each!